Thorsten Heins this week reiterated the fact that BlackBerry is open to licensing opportunities. At an annual investor meeting in Waterloo, Heins rallied his troops by saying a turnaround is still on the horizon, explaining that a complete transformation takes time. "This is a long-term transition for the company," Heins said, admitting that it was never going to be easy. Branching out to other companies could be one scenario that has the potential to help the company recover. When asked about licensing possibilities, Heins simply said the company would look into it—that's it. Not when, or how, or even if it could benefit/hurt the company. That's of little mind, it seems, because Heins' comments have already lead to early gains for BlackBerry shares on the Nasdaq. Maybe that's all investors need to hear; promises and what-ifs. Still, some investors are guarded. "I think [BlackBerry is] on a very short leash," said John Goldsmith, the head of equities at Montrusco Bolton Investments Inc. "I wouldn't be surprised if within the next two quarters there is a definitive announcement with regard to other options that this company could be looking at, whether that's putting itself up for sale or some other option." 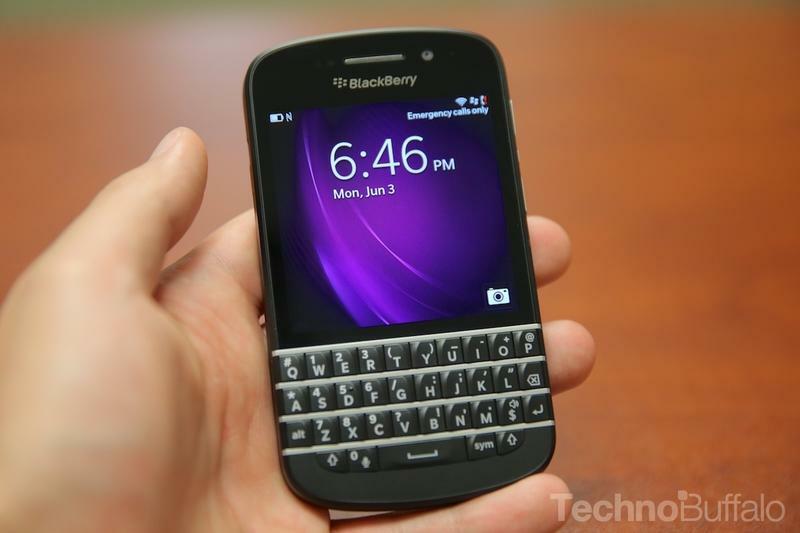 Whatever BlackBerry decides, something needs to be done soon. After reporting its quarterly results last month, the company's stock dove 28 percent due to a big operating loss over the past few months. The company currently only has three BlackBerry 10 devices on the market; licensing could speed up the roll out of BB10, though companies would obviously need to see value in developing devices that run the new operating system. With Android and iOS continuing to dominate worldwide marketshare, BlackBerry has a lot of work to do if it wants to remain competitive. Whether that's through a complete sale or licensing remains to be seen. Making BBM available on other platforms could be a start.